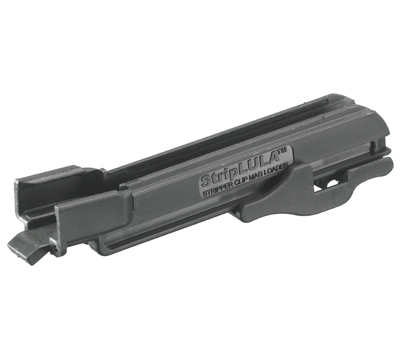 The StripLULA™ loader & unloader is a military-quality, 5.56/.223 caliber magazine loader and unloader. It facilitates both loading rounds from stripper clips, loading loose rounds into a magazine as well as unloading them out of the magazine. Load and unload your magazines fast, safely, comfortably and painlessly. Usable for tens-of-thousands of rounds. Made by Maglula Ltd.